Medical errors have become an increasing public concern among policy-makers, healthcare providers and experts. Medical errors in the U.S. hospitals and healthcare institutions are the third leading cause of death and almost 98,000 people annually lose their lives in this way. According to healthcare and health industry leaders, using information technology enhances patient safety by preventing medical errors, assessment errors and surveillance system with rapid response and reduces the risk of harm created after the fact. In this paper, medical errors are investigated, the role of information technology in reducing and preventing medical errors is investigated, and recommendations are presented regarding the use of information technology for prevention and reduction of medical errors in healthcare institutions. Scientific databases and electronic journal citations were searched to identify articles that discussed the role of health information technology in reducing preventable medical errors and improving patient safety. We used reference tracking and citation methods and searched by following keywords: Information technology, medical errors, computerized provider order entry (CPOE), and clinical decision support system (CDSS). A total of 33 related articles were included in this study from the 609 articles initially obtained from the searches. Nature of medical errors occurring in healthcare organizations includes medication prescribing, treatment, procedures, diagnostic and administrative errors. Among systems and techniques that are used to prevent and reduce medical errors, CPOE, CDSS, EHR (Electronic Health Record), BCMA (Barcode Medication Administration) and RFID (Radio Frequency Identification) are well known. Studies show that in reducing errors, and improving quality of care, CPOE, CDSS and EHR are more effective than other technologies. The integration of CPOE with CDSS, also likely leads to a further reduction of medical errors. CPOE covers all three healthcare quality problems (low use, misuse and overuse). Furthermore, EHR increases the effectiveness of healthcare and reduces medical errors through reminders, alerts and internal intelligent capabilities. Context: In the hospital environment, Acinetobacter baumannii (A. baumannii) can colonize the respiratory, urinary, gastrointestinal tract and wounds of the patients and can cause infections in burn, trauma, mechanically ventilated and immunocompromised patients. It shows a special predilection for the ICU. The most alarming problems encountered during this period are the organism's ability to accumulate diverse mechanisms of resistance and the emergence of strains that are resistant to all commercially available antimicrobials coupled with the lack of new antimicrobial agents. Aims: To study the resistance pattern of multidrug resistant (MDR) Acinetobacter spp. in ICU. Settings and Design: This is a 6-month retrospective study conducted in the Microbiology department. Materials and Methods: The present study was carried out in the Microbiology department of a tertiary care hospital and teaching institute. During the study period (Jan-June 2013), 370 samples were collected aseptically and processed immediately following collection. Growth was identified by observing the colony characteristics on the blood agar and MacConkey agar plates and biochemical reaction using standard microbiological methods. The bacterial isolates were subjected to antibiotic susceptibility testing by standard Kirby Bauer Disc Diffusion methods. Statistical Analysis Used: No. Results: Out of 370 samples, 83 (22.4%) samples were found to be positive for Acinetobacter spp. Among the 83 Acinetobacter isolates, 29 (34.9%) extended spectrum beta-lactamase (ESBL) and 8 (9.6%) were carbapenemase producers and 3 were MDR. Conclusions: Emergence of MDR Acinetobacter strains alarms us to take care of risk factors like irrational prescription of higher antibiotics, prolonged stay in ICU and use of mechanical ventilation. However, polymixin B and tigicycline are effective to treat infection caused by MDR Acinetobacter. Introduction: Violence is increasing in many workplaces among health care system. Hence, several studies have been performed in this field in Iran hospitals, but there is no study on the prevalence of violence among hospital support-administration staff; therefore, the present study aimed to investigate the prevalence of violence, its types, and perpetrators in support-administrative departments of Alzahra University Hospital. Materials and Methods: This descriptive-analytical study was performed in Alzahra University Hospital of Isfahan in 2013. The study population was all the support-administrative staff of the hospital, which was interacting with patients and their companions. Sampling was done by census. The research tool was a researcher-made questionnaire including five domains: personal information, workplace information, verbal violence, physical violence, and other violent acts. Validity of the questionnaire was evaluated by the views of experts and its reliability was confirmed by test-retest (r = 0.9). Finally, data were analyzed by using descriptive statistical indicators and statistical tests such as the Chi-square by SPSS 20. Results: According to the results, the overall prevalence of violence among support-administrative staff was about 81% and the most reported violence was verbal violence (78.4%). In all types of violence, the majority of attackers were patient companions and men had shown more aggression compared with women. Although emergency condition caused more violence, there was no significant correlation between violence and patient's condition. Conclusion: Based on results, the most reported violence was verbal violence and main perpetrators of that were men and patient companions. According to high incidence of violence and staff willingness to train in this field, it is suggested to hold workshops on coping with violence and appropriate and respectful communication with patients and families, using experienced and patient staff to interact with clients and administrative procedures of admission and discharge should become specified and shorter. Aims: To develop a Graphical User Interface (GUI) system for mobile application to provide secured remote access to medical images for faster diagnostic and therapeutic use. Settings and Design: We have designed an android application using the android operating system. The application is compatible to DICOM images. The application has two layouts and with tools such as window scaling, bone edge detection and RGB colouring. We have also designed a database server for storing patients medical images were a physician can store patient's medical image taken through one of the imaging modality. Methods and Material: The system consists of two separate modules one is at the hospital called "Base unit" and the other at doctor's site called "Mobile unit". At the base unit we have developed a database server for storing the medical images of the patient. We have developed the database using the PHP and my SQL programming languages. The software design and implementation is similar to the client server model. Communication between the two parts is achieved using TCP/IP as network protocol, which ensures safe data transmission over different telecommunication means such as GSM, Satellite, and POTS. 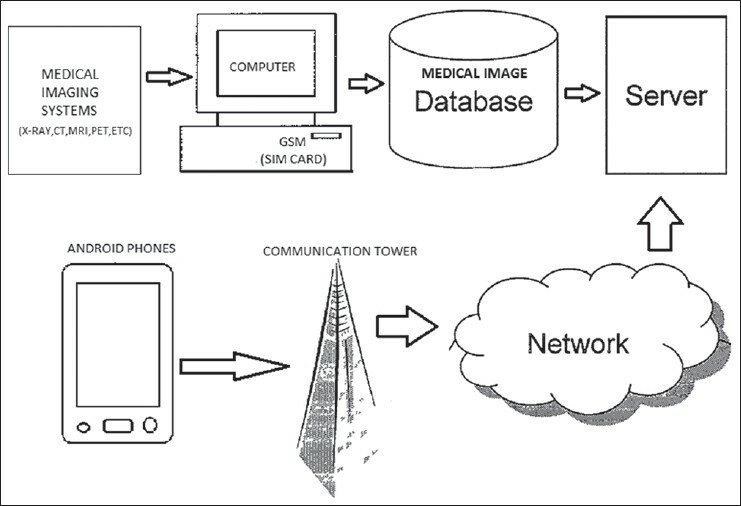 The Mobile unit mainly consists of a software module which is built into an android application used for receiving the image data (DICOM Images) of the patient, viewing the image and sending back the report of the patient to the base unit using a communication module (GSM, Satellite or POTS modem). Here the Mobile unit is the mobile phone supporting android applications (smart phones, tablet computers)  . An android application viewer is created in the mobile phone of the doctor's through which he can access the medical images stored in the base unit. Results: Proposed work is capable of accessing the medical images from the remote area by the doctor's using their android smart phones. At the mobile unit doctors can use the image enhancement techniques provided for better visualization of the medical images. Also doctor can send the report back to the base unit. Conclusions: As wireless technology is becoming an important part of health care centre's, proposed work intended to use small and portable mobile devices for the assistance of healthcare personnel. It enables the remote access of patient information and images through his wireless handheld devices. Development of such applications will enable to provide better healthcare facilities in time to patients. Context: Patient safety is a critical component of health care quality. In addition to human suffering, unsafe health care exerts a heavy economic cost on the healthcare system. 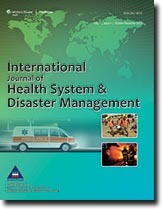 Aims: The aim of this study was to assess the patient safety infrastructure standards in selected hospitals of Isfahan. Subjects and Methods: The present descriptive-analytic study was carried out cross-sectional in spring of 2013. 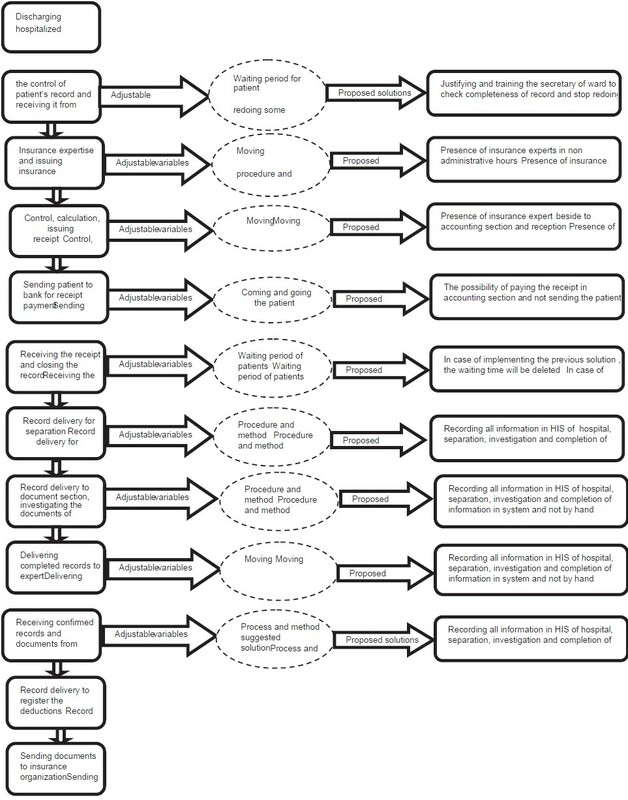 Data were collected using mandatory standards checklist, used by World Health Organization to assess patient safety in hospital, through observation, interviews, and reviewing documents in selected hospitals in Isfahan. The data were analyzed using SPSS 21 and descriptive-inferential statistical methods. Hospitals were classified into three levels of low (lower than 50%), average (5o-70%), and high (higher than 70%) based on the compliance level with infrastructure standards of patient safety. Results: The overall compliance level of patient safety infrastructure standards mean 57.6 ± 14.92 was evaluated average in the studied hospital. Leadership and management with the highest mean (69.5%) were evaluated as average and the patient and public involvement domain with the lowest mean (37.5%) were evaluated low. Conclusions: In total, the overall compliance level of patient safety infrastructure was evaluated average in the studied hospital. Given that acquiring 100% of critical standards in the four domains are essential to be considered at the basic level of patient safety friendly hospital; necessary investments in strategic and operational planning should be considered in order to achieve 100% standards in the four domains. Introduction: The role of medical devices is increasing every day. So, researchers of this study attempted to help managers and employers by introducing latest medical equipment states and implementing a scientist and accurate method in P.M. for medical equipment. Materials and Methods: This research is an analytical descriptive study and has been performed cross sectional. All medical equipment owned by Alzahra medical center are used in this study by counting method. In this research, we processed 1520 medical equipment, and finally added 1000 medical equipment into P.M. system. We categorized the equipment into 83 categories in 4 categories: Capital/Vital/Scarce/Versatile. In the second stage, we designed a specialized checklist for every category. Finally we completed P.M. instructions for all of the devices based on device's catalogues and biomedical expert's information. Results: Alzahra hospital had 992 pcs equipment consist on: Capital and sensitive (7 pcs)/Vital (11 pcs)/Scarce (49 pcs)/Versatile (636 pcs)/Vital and Scarce (2 pcs)/Scarce and Capital (13 pcs) Vital and Versatile (194 pcs)/Capital and Versatile (17 pcs)/Vital and Capital and Versatile (38 pcs). Status of P.M. system is: Versatile 36%, Scarce 36%, Vital 66% and Capital devices 51%. Discussion: The total of status of P.M. system is Less than 70% comparison of good condition. One of our big achievements in this research was collecting and conducting P.M. for 532 biomedical equipment in 19 types and 28 brands. We conducted these P.M. for Alzahra Medical center and it's exist for their staff and operations. Context: Improving patient safety in health systems is one of the main priorities in healthcare systems, for this reason clinical risk management in organizations has become increasingly significant. Although several tools have been developed for clinical risk management, each has its own limitations. Aims: This study aims to develop a comprehensive tool that can complete the limitations of each risk assessment and management tools with the advantage of other tools. Settings and Design: Procedure was determined in two main stages included development of an initial model during meetings with the professors and literature review, then implementation and verification of final model. Subjects and Methods: This study is a quantitative − qualitative research. In terms of qualitative dimension, method of focus groups with inductive approach is used. To evaluate the results of the qualitative study, quantitative assessment of the two parts of the fourth phase and seven phases of the research was conducted. Purposive and stratification sampling of various responsible teams for the selected process was conducted in the operating room. Final model verified in eight phases through application of activity breakdown structure, failure mode and effects analysis (FMEA), healthcare risk priority number (RPN), root cause analysis (RCA), FT, and Eindhoven Classification model (ECM) tools. This model has been conducted typically on patients admitted in a day-clinic ward of a public hospital for surgery in October 2012 to June. Statistical Analysis Used: Qualitative data analysis was done through content analysis and quantitative analysis done through checklist and edited RPN tables. Results: After verification the final model in eight-step, patient's admission process for surgery was developed by focus discussion group (FDG) members in five main phases. Then with adopted methodology of FMEA, 85 failure modes along with its causes, effects, and preventive capabilities was set in the tables. Developed tables to calculate RPN index contain three criteria for severity, two criteria for probability, and two criteria for preventability. Tree failure modes were above determined significant risk limitation (RPN > 250). After a 3-month period, patient's misidentification incidents were the most frequent reported events. Each RPN criterion of misidentification events compared and found that various RPN number for tree misidentification reported events could be determine against predicted score in previous phase. Identified root causes through fault tree categorized with ECM. Wrong side surgery event was selected by focus discussion group to purpose improvement action. The most important causes were lack of planning for number and priority of surgical procedures. After prioritization of the suggested interventions, computerized registration system in health information system (HIS) was adopted to prepare the action plan in the final phase. Conclusion: Complexity of health care industry requires risk managers to have a multifaceted vision. Therefore, applying only one of retrospective or prospective tools for risk management does not work and each organization must provide conditions for potential application of these methods in its organization. The results of this study showed that the integrated clinical risk management model can be used in hospitals as an efficient tool in order to improve clinical governance. Introduction: Rapid great changes in technology specially the increasing role of information technology and computer systems in managing the organizations has changed the management strategies and organization leadership, as a result, in the new world, managing organizations by old strategies has become impossible. Unanimous information systems, new approaches to services, managing the relationship with the customers and the others, all, have one common management feature that is the success in all these systems is based on process perspective. The present study aims at determining the effect of applying an adopted model from business process management (BPM) to modify the discharging hospitalized patients' process in teaching Hospitals. Materials and Methods: The present study is an action research with no control group which its aim is improvement of discharging hospitalized patient's process in teaching hospital. The variables such as waiting period, moving, stocking, and commuting time that the researchers use them for identifying wastes. For collecting data, we used focus group to which help us to determination of prioritize, modeling, and to identify the process problems and find appropriate solutions for them. In the last step, to collect functional indexes, we used observation method and time measurement criteria. Findings: In the last step, after filling out the improvements recommendation's form, the researchers started implementing the suggestions and use the indicators to evaluate the achieved changes. The results of the survey showed that reform implemented the process of discharging hospitalized patients, led to decrease the waiting period to 60 min that this period was 90 before intervention, and waiting time we could save is 30 min in waiting time period. Our result show 17 min decrease in commuting time, before intervention it take 20 min, and after that its time change to 3 min. The last variable was moving time that was reduced from 15 min to 5 min and we could save 10 min in this process. Discussion and Conclusion: Applying this mixed approach, the researchers implemented the recommended focus group solutions and show its effects via significant indexes changes. After that they made model for process to identify the problems or recognize the nonvalue added activities. After implementing the project, a significant improvement was noticed in waiting period, commuting and moving time that waste for relocating patients or documents. Introduction: Clinical risk management and medical errors have become a basic part in every hospital management. The critical complexity that controls the conditions of very ill patients in some specialized units like the operating room may increase the number of errors in providing healthcare services. 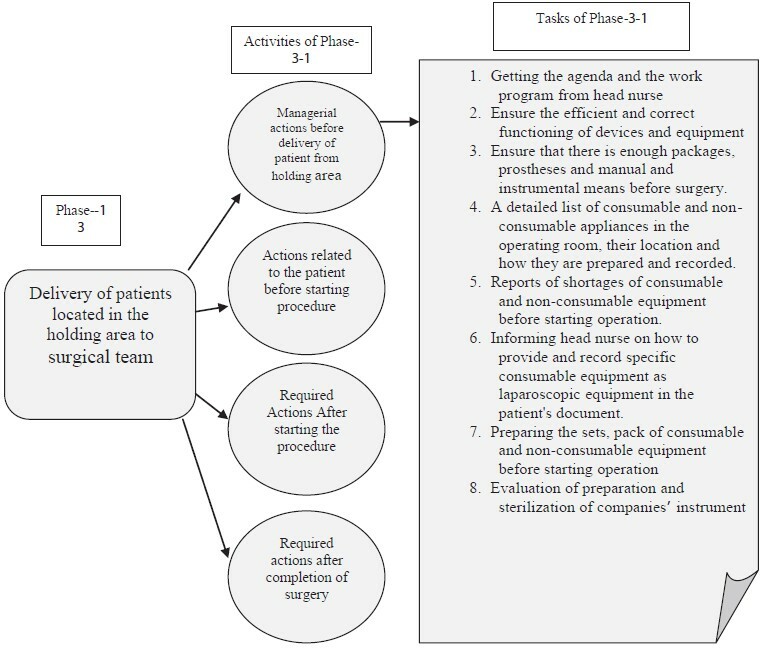 Using failure mode and effect analysis (FMEA) method, the present study attempts to identify, assess and provide appropriate actions to control, reduce and eliminate the potential risks in the operating room in Feiz hospital in 2012. Materials and Methods: The present study is a qualitative research conducted in 2012 through direct observation, interview with the officials and authorities in the operating room, and available document review. The participants include the authorities in hospital units and those aware of processes in the operating room. To collect the data, the standard worksheet of the FMEA technique was used. Findings: Based on the authorities' point of view, eight main actions were selected to analyze the potential errors. The finding suggested that 35 failure modes were identified in the operating rooms at the Feiz hospital in Isfahan from among which seven potential failure modes were related to injection and transfusion, four to prechecking the apparatuses, 14 to the cares before and during the surgery, four to the cares after the surgery, one to the sterilization of the apparatuses, three to admitting the patients in the operating room, one to checking the blood glucose, and one to checking the doctors' instructions and prescriptions. Discussion: Based on the results presented, the following priorities were found to eliminate or reduce the identified errors: teaching the Haemovigilance system and an identification guideline of the patient to the personnel, full awareness of drugs and their possible side effects, teaching fluid therapy, controlling the operation of the apparatuses, teaching the health processes and controlling infection, and so on. 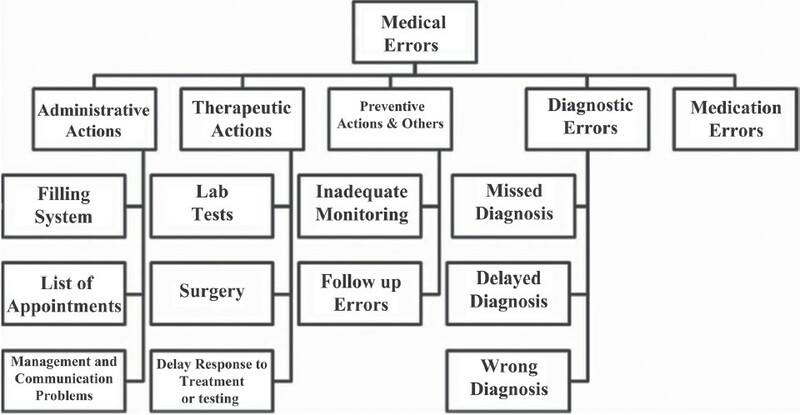 Hospitals can easily provide a list of the required specific errors reported in the centers and introduce some approaches to deliver the services and enhance their quality, by performing a simple comprehensive technique and analysis, like the one presented in this study in all units. Background: Service quality (SQ) refers primarily to how the care received is perceived and is influenced by the physical, social, and cultural context and nonhealth aspects of care, such as access, respect, and confidentiality. This study aimed to assess SQ for people with rheumatoid arthritis (RA) from the patients' perspective. Subjects and Methods: A cross-sectional study was conducted with 172 people with RA who received care from specialist clinics of Isfahan University of medical sciences in 2013. SQ was measured using comprehensive quality measurement in healthcare_service quality (CQMH_SQ) questionnaire. Questionnaire content validity was reviewed and confirmed by 10 experts and its reliability was confirmed based on Cronbach's alpha index (α =0. 803). A measure of SQ was derived by combining the relative importance and actual performance. Data analyzed using the SPSS-17 statistical package. Results: Study findings indicate average SQ score were 7.91 (0.87) and demonstrated which aspects of SQ took a weak score in total SQ for people with RA. Confidentiality and choice of care provider achieved the highest and availability of support group had the lowest scores SQ scores. Participants with good control of their disease had higher scores (P = 0.042) and SQ score customer quality score have positive relationship with increasing each year in elapsed time of diagnosis (P = 0. 028). Conclusions: According to average score of customer quality, study findings indicate that patient and provider participation in quality improvement activities can be used as an effective solution and also needs for focus on such aspect of health care quality that were more important for consumer, also dimension have worst quality such as availability of support group.